Have you ever wondered about how safe your place or position is regarding electromagnetic and magnetic fields? Then here is your chance to find out. Everyone is exposed to a complex mix of weak electric and magnetic fields, both at home and at work, from the generation and transmission of electricity, domestic appliances and industrial equipment, to telecommunications and broadcasting. There are different views how those field can affect you. There are established biological effects from acute exposure at high levels (well above 100 µT) that are explained by recognized biophysical mechanisms. But foe low level field there is no one universal truth. Some members of the public have attributed a diffuse collection of symptoms to low levels of exposure to electromagnetic fields at home, but there is no solid evidence on those. To date, scientific evidence does not support a link between various symptoms and exposure to electromagnetic fields. IARC published a monograph classifying ELF magnetic fields as “possibly carcinogenic to humans”. According to IARC there has been found increase in childhood leukaemia associated with average exposure to residential power-frequency magnetic field above 0.3 to 0.4 µT. But there are no accepted biophysical mechanisms that would suggest that low-level exposures are involved in cancer development. 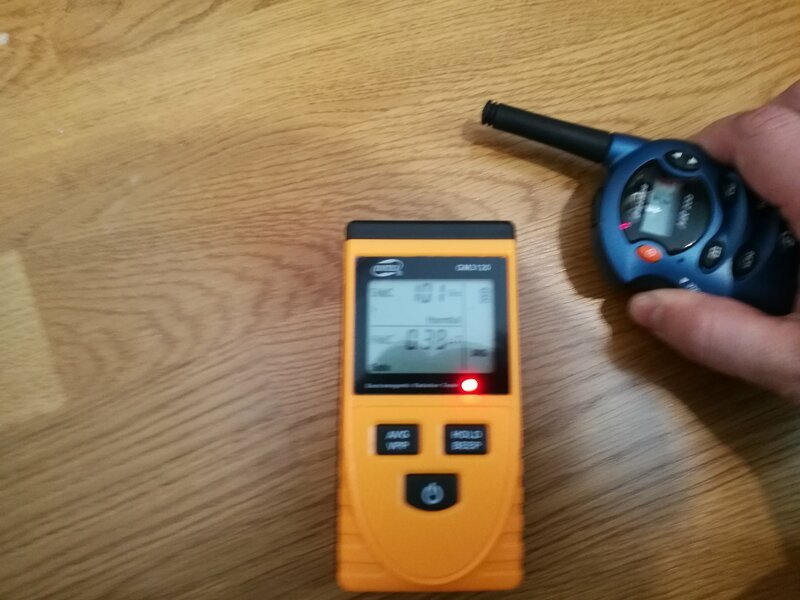 The Shady Science of Ghost Hunting often makes use of different kind of detectors, including EMF meters. EMF meter is among the most common devices used by ghost hunters today. The association between EMF meters and ghosts is frequently made, but there is no firm evidence connecting the two. I don’t believe in ghosts, bit I thought this should be mentioned here. Electromagnetic fields can also affect electronics. Electromagnetic interference (EMI) is a disturbance generated by an external source that affects an electrical circuit by electromagnetic induction, electrostatic coupling, or conduction. Both man-made and natural sources generate changing electrical currents and voltages that can cause EMI. In case electrical circuit receives unwanted EMI, a meter that can give idea of EMI around the circuit can be helpful in fault finding. 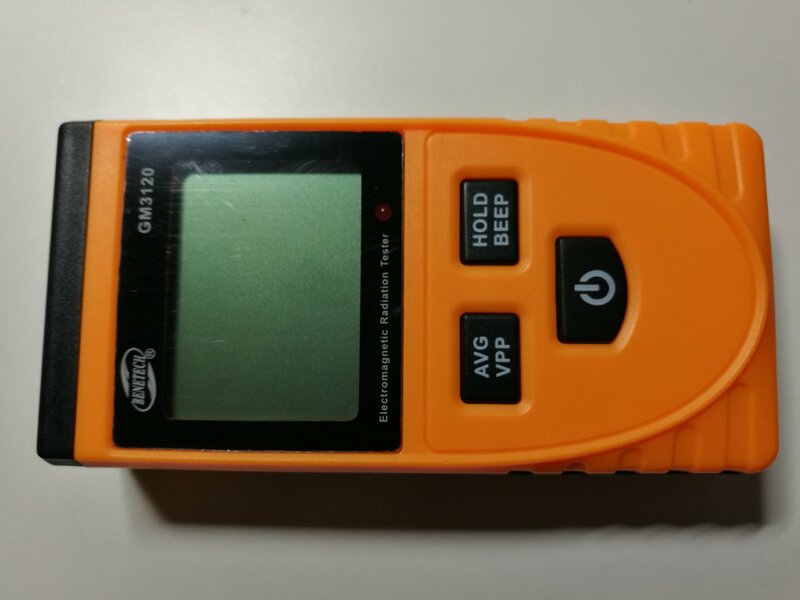 An EMF meter is a scientific instrument for measuring electromagnetic fields (abbreviated as EMF).EMF meters measure fluctuations in electromagnet fields. 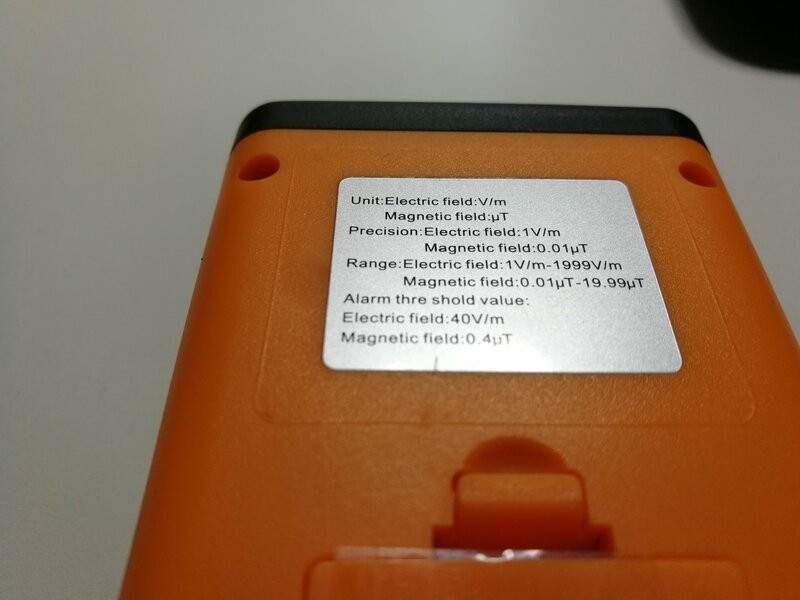 Measurements of the EMF are obtained using an E-field (electrical field) sensor or H-field sensor (magnetic field). I have earlier tested Velleman VTEMF meter for measuring alternating magnetic fields (calibrated to measure 50 and 60 Hz alternating fields ). 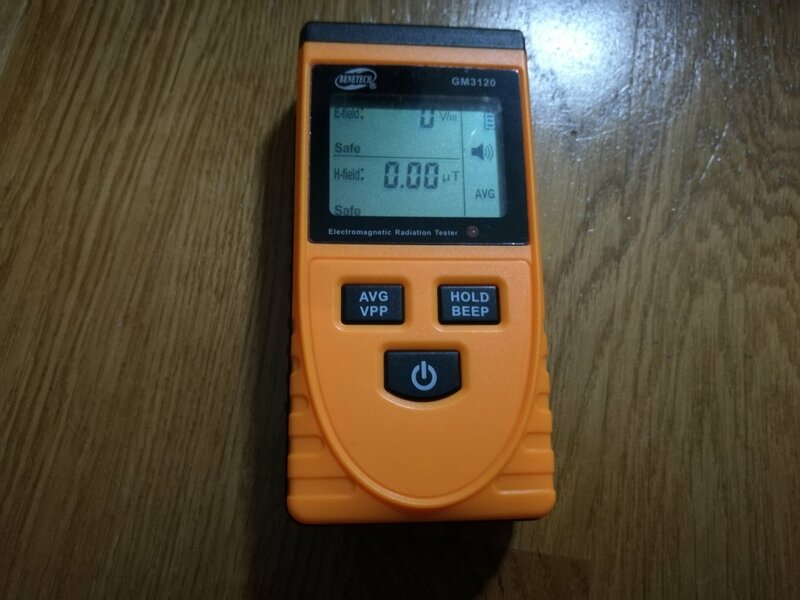 I have also tested DT-1180 Electrical field and RF meter for measuring electrical fields. 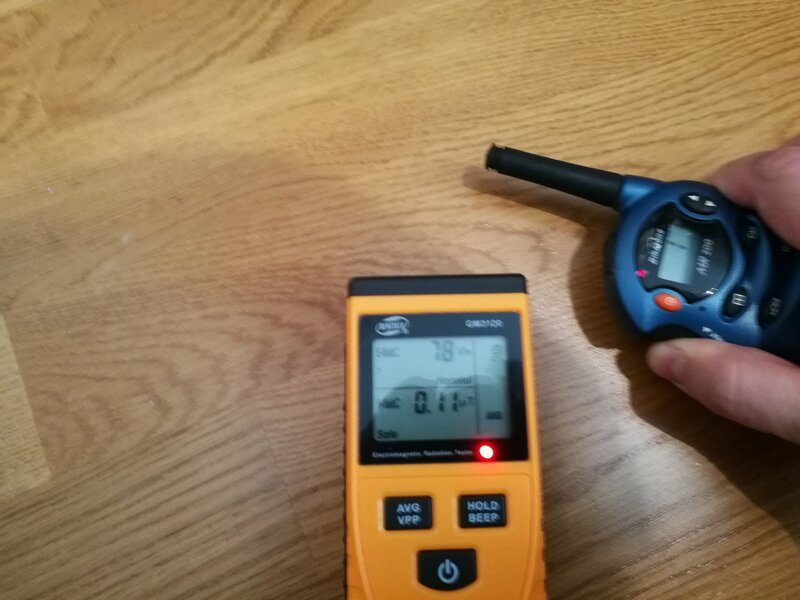 This time I am testing GM3120 Electric Magnetic Radiation Detector Tester Phone PC Home Equitment Radiation Monitoring with Lcd Display product that promises to measure both magnetic field and electrical field at the same time. It’s interesting to see how much electromagnetic radiation around us at home! - sound-light alarm, when the test result exceeds the safe value, the instrument will alarm automatically. I am still testing this EMF n detector but it already comes out with some interesting results. Item performance are quite satisfactory, considering its cheapy price. It is easy to use. It detect well mains frequency fields. The alarm levels are so low that the meter alarms very often in very many locations at a normal house. That’s a bit annoying and make you want to turn off the alarm beep (that can be done with button). 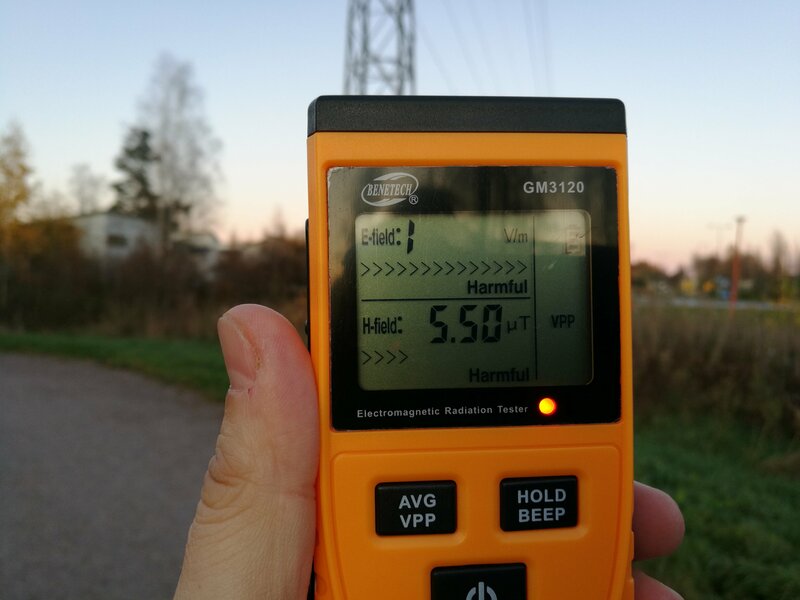 With alarm turned of it can be used as quite nice EMF field surveying instrument. Device performance are quite satisfactory, considering its cheapy price. It detects the 50 Hz or 60 Hz of main power and electrostatic charges well. At those measurements the performance was pretty much in line the separate instruments I had, meaning that they gave somewhat similar looking results (I did not have any tightly controlled lab to test the actual accuracy). This device can detect mains power cables in walls. In addition the device seems to detect also radio frequency signals (Wifi at 2.4GHz, PMR at 446 MHz, cellular phone). The meter seems to pick up electrical fields towards top end best. For magnetic fields it seems to pick strongest the fields from the side of the meter. In real world field testing you should try neter in different directions ti get reading from strongest electrical and magnetic fields. The plastic case of this device is very cheap looking and has cheap feeling. Otherwise the construction seems to be OK. The measurement works OK, but sometimes the response to the changing fields seems to be somewhat slow. 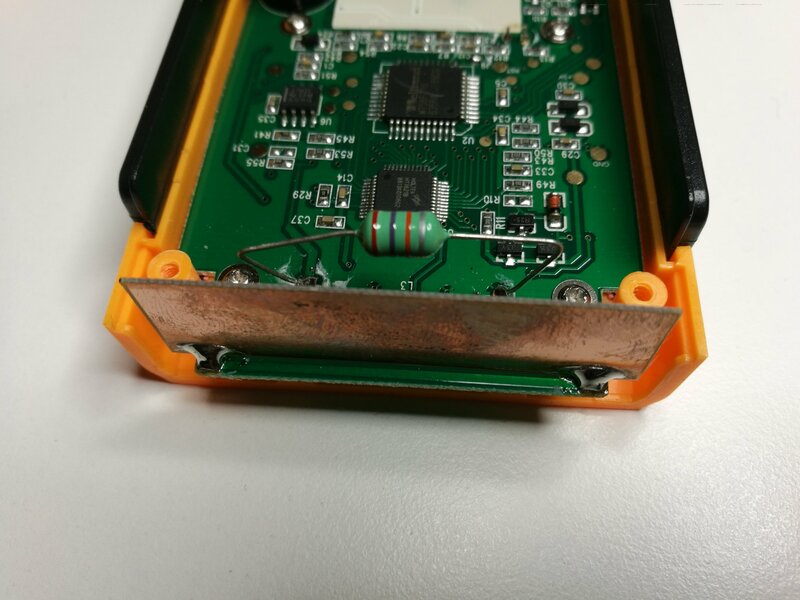 The piece of bare circuit board on the front of the device acts like capacitive sensor for electrical field. The red component that looks like big resistor is a coil used for picking up magnetic field. Her you can see the circuit more closely. 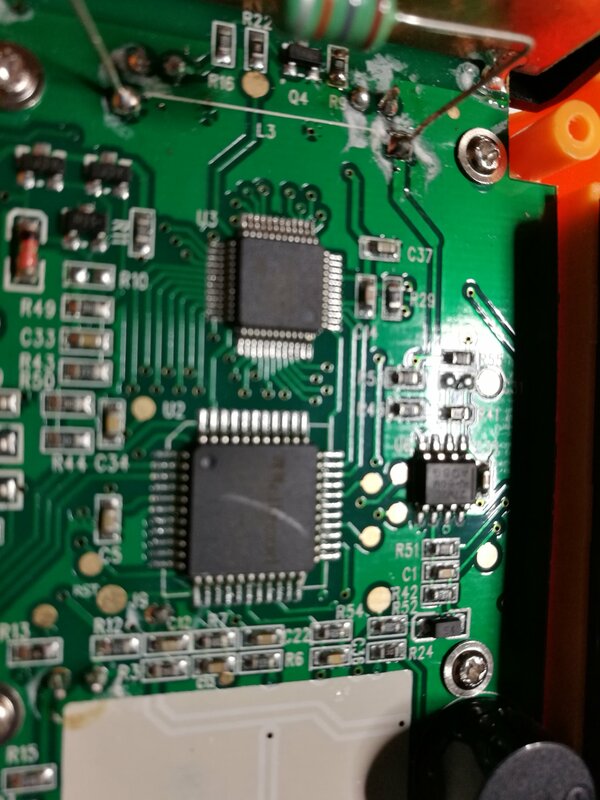 It looks like the signal from electrical field sensor is amplified with FET and the signal from coil goes pretty directly to the rest of the circuitry. 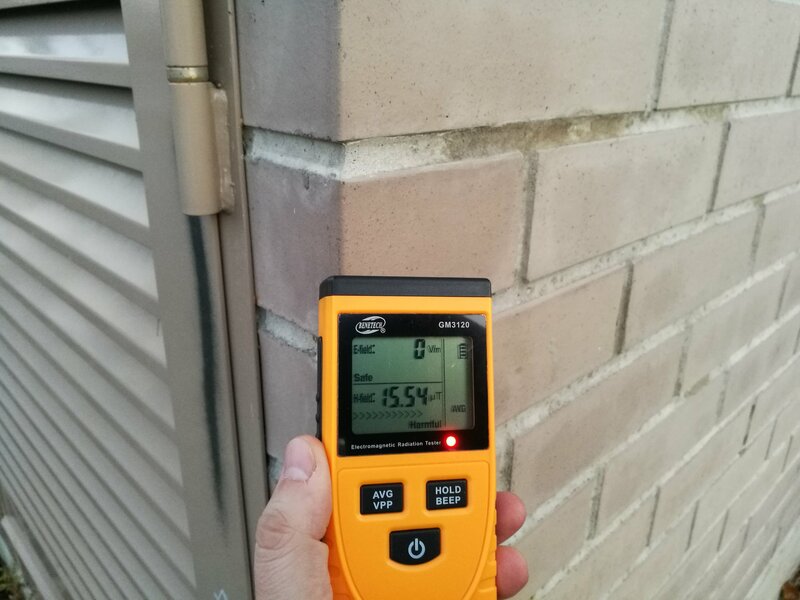 GM3120 Electric Magnetic Radiation Detector Tester seems to work and do measurements. With my short testing it is hard to say how accurate this device really is on different situations and at different frequencies. The manufacturer has web page for GM3120. "The controversy over health effects from electromagnetic fields is, to a large extent, a product of earlier studies that did not find many associations between EMF and health risk,"
As Li observed, there is no scientific consensus that MF exposure harms human health. According to the National Cancer Institute, "[A]lthough many studies have examined the potential health effects of non-ionizing radiation from radar, microwave ovens, cell phones, and other sources, there is currently no consistent evidence that non-ionizing radiation increases cancer risk." Are You looking for Computer Shortcut Key? In this post i will tell you a lots of Computer Shortcut Key in our system. Also In the Computer Shortcut Key for keyboard is a set of multiple keys that invoke a particular command in our operating system. 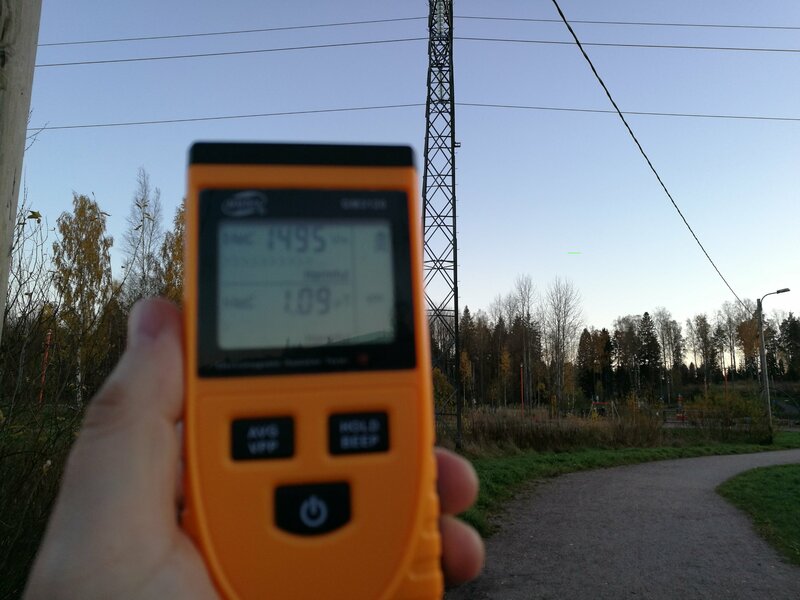 EMF Dangers Cell Tower Radiation Dangers – Be Aware of Where You Live and Work! I follow Richard’s, KB3VZL, February 2015 QST (page 71) article about building a field strength meter into a DVM. He built the circuit to fit inside a Harbor Freight digital volt meter. Modification To Low Cost Harbor Freight DMM, Allows Measurement Of RF Field Strength. From Article In ARRL QST February, 2015. The Conclusion Of The Modification To The Low Cost Harbor Freight DMM, Allows Measurement Of RF Field Strength. In this video I did a teardown of a cheap eBay GM3120 field strength meter. Field strength meter is extremely useful when working with RF devices. 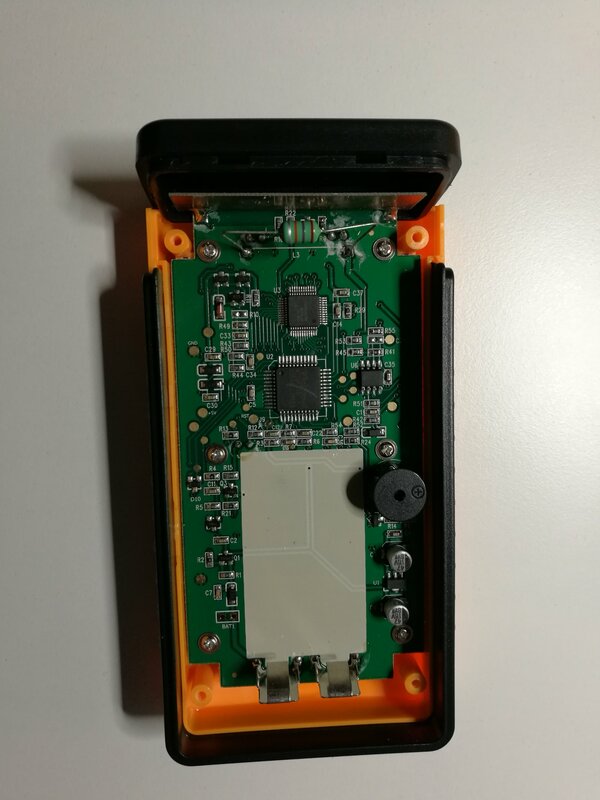 It can be used to quickly diagnose whether a transmitter circuit is working, and can be used to detect RF signals in the environment. The simplest field strength meter could be built with a tuned LC circuit and a germanium diode, just like the way of a building a crystal radio except replacing the ear piece with a high sensitivity current meter. While this approach fits the needs of most simple applications, it has a pretty narrow frequency range (~100 MHz) and requires tunning the LC circuit to the correct frequency before measurements can be made and the design can become complicated if wider frequency range tuning is desired. There’s been a lot of talk about electromagnetic fields (EMFs) and the bad effects of radiation from high voltage lines. The question is, is there any truth to it? Or is it just unnecessary fear-mongering by certain companies that sell you electronic gadgets that supposedly protect you from radiation? Every time you use electricity and electrical appliances, you are exposed to artificial electric and magnetic fields at extremely low frequencies, below 300 hertz, that are considered extremely safe levels. More specifically, electric fields happen when you plug a wire into an outlet, even if the appliance is not turned on. Magnetic fields are formed when you actually are using a device, so electric current is flowing into the device. One thing’s for certain: EMFs are strongest when you’re close to their source. As you go further from the source, the strength of the fields decreases rapidly. This means the strongest EMFs are right beside a transformer box or right under a high voltage power line, and they become weaker as you move away. The thing is, any object, such as the walls of buildings, trees and even the ground where power lines are buried can block electric fields. So, when you are inside your home, the magnetic fields from high voltage power lines and transformer boxes are very weak. In fact, they are often weaker than the electromagnetic fields that come from your household electrical appliances. That’s right. On a daily basis, most of us are exposed to EMFs caused by household wiring, lighting and any electrical appliance that plugs into the wall, including vacuum cleaners, electric barbecues and even toasters. In the workplace, EMFs can be created by computers, air purifiers, printers, electric tools and so on. EMFs cause weak electric currents to flow through the human body, but the intensity of these currents is too low, many experts say, for concern. there are people who are hypersensitive to electromagnetism, although the condition isn’t recognized by the medical community. These people experience headaches, fainting spells and extreme irritability when they are exposed even to the low frequency EMFs. Some of them have taken an extreme step to avoid them: They’ve moved to Green Banks, a small town in West Virginia where WiFi, TV, radio, cell phones and Bluetooth are banned. As a doctor, I believe the stress from worrying about EMF could be greater than EMF itself. I would caution against moving right next to those high voltage transmission towers, but unless you’re planning on living completely off the grid, Fred Flintstone-style, or heading to Green Banks, you’re going to experience some exposure. unplug all your gadgets when not in use, and use them a little less often! Create distance between you and the EMF source, and minimize the time you spend exposed to the source. Russ Loader and his wife feel they have been harmed by the electromagnetic fields that are running underneath and along the floor in their Oshawa Ontario apartment. Even with the power turned off in their apartment, there is enough current running along the floor to light a christmas tree bulb. This can happen when electricity runs along grounded rebar or metal water pipes or other conduit that houses internet cables, security camera wires etc. Removing the grounded neutral wire from the pipes often corrects this problem. Another source of EMF in the floor can come from transformers in florescent lighting fixtures that are installed in the ceiling of the apartment below. We test the three leading materials for electromagnetic shielding using a 2.4 gigahertz Wi-Fi router. You will be surprised at which one is the worst.